It seems like once a year, a computer virus, hacker group, or glitch starts making headlines. Ever since we came out of the digital revolution in one piece, there’s been a percentage of the population that exaggerates every electronic menace to unrealistic proportions. First it was Y2K, then it was identity theft, and this year it’s the Flame Virus. Antivirus developers are already on top of this malware property. Though the virus has the potential to do a lot of harm very quickly, it can’t seem to act any faster than antivirus coders can. This is why the virus hasn’t really spread in the west after ravaging hundreds of networks in Iran, Pakistan, and India. Firewall security is pretty tight in North America and the UK. Not only will the Flame Virus be put to rest by any decent antivirus program, the developers of the virus have actually put out a suicide command for the virus, killing it in its tracks the second it activates. Virus developers often code these things for experimental purposes, and while the intentions and end goal of the programmers may be a matter of opinion in some ways, the fact is that the developers have decided to put it to rest. The modern framework for the internet is resilient. Viruses spread by the very same channels and principles that the cure for these viruses will spread. It’s impossible to fully censor and control the web and what people can do. And it’s definitely impossible to try and take the web offline. This is how people are able to so freely distribute viruses, it’s why people can get away with file sharing, and it’s how people learn about viruses and other problems and deal with them so quickly. As long as you have a good firewall in place and you’re careful about what you download, chances are that you were already safe from the Flame virus to begin with. What a lot of people don’t realize when something like Flame starts to make headlines is that the private companies and users who work at them tend to do pretty well at keeping those types of viruses at bay. For whatever organized efforts the government might have put into effect, we already had a security framework that more than protected us from the virus. With WPA security settings and the right antivirus software, chances of being infected with the virus were pretty slim from the start. 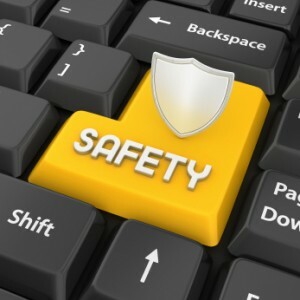 Caution should always be practiced on the web, but the fact is that most of these online-panics are just that – panics.